Digital efforts continue to be a larger portion of all nonprofit communication plans, with recent regulatory changes, privacy concerns, and technical advances needing to be addressed. Join thought leaders and innovative brands at the Email Evolution Conference to remain on the cutting-edge of digital marketing. If you can’t attend, sign up for our blogs—we’ll post our top learnings from the conference! As the premier mailing and shipping industry event, the annual National Postal Forum attracts over 4,000 industry professionals each year. The Forum provides convenient access to USPS leadership, in-depth information on postal policies and mailing standards, emerging industry trends and cutting-edge technologies. Break down those silos and attend this conference to help integrate and coordinate your marketing channels! Last year’s event was sold out, and this year’s event is shaping up to be another blockbuster. Choose from a wide range of topics at this year’s forum including Multi-Channel Fundraising, Google Grants, and using your data to the max. MarkeTeam’s analysts and data scientists are at the top of their game, using data-driven approachs to marketing. Hone your skills with other senior brand and data science marketers and learn the latest strategies in attribution, machine learning, segmentation & microclusters, and cross-channel integration. Sharpen your skills—and learn new ones—in social media, cross channel marketing, data analytics, mobile strategy or deliverability! 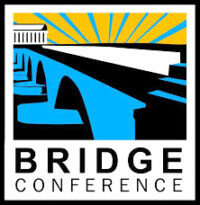 Bridge has become the “go-to” conference for nonprofit fundraising professionals. You’ll interact with leading nonprofits, agencies and related vendor-partners, with multiple sessions focused on interest tracks. Visit MarkeTeam in our Exhibitors area booth staffed by the most interesting people in the world (at least we think so!). Whether you’re just starting your career or bring years of experience as a seasoned professional, you’ll always learn more when it comes to direct mail, digital and telemarketing fundraising techniques. Look for MarkeTeam at this conference focused on the unique needs of health care development professionals. We’ll be staffing a booth and eager to talk to you about your annual giving programs. This nonprofit conference is where fundraising and marketing professionals meet and present breakthroughs, innovative case studies, implementation of new technologies, and optimizing advanced analytics. Some of the best minds in the nonprofit fundraising industry attend—and that’s why we’ll be there too! There are over 200 sessions in five tracks covering all aspects of nonprofit technology. Sessions have been developed for and by nonprofit professionals. Join us to be part of the movement for better nonprofits!